A few weeks ago we made fish tacos, and I was once again left with the familiar predicament of what to do with the leftover cabbage. I ended up making these Asian Turkey Burgers twice…not just because I had more cabbage to use up (though this was true), but also because we liked them so much. The burgers themselves are flavored with a number of ingredients including soy sauce, brown sugar, and green onions, transforming the rather bland poultry into anything but! 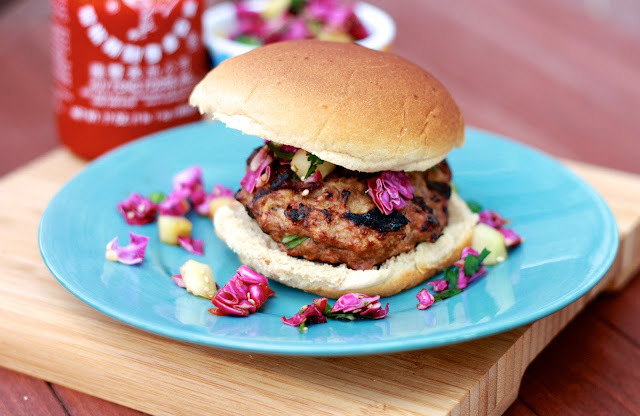 Topped with the cabbage cucumber slaw and a squirt of Sriracha, these went straight to the top of my favorite turkey burgers, rivaling the reigning champion. It wasn’t until our next trip to the grocery store that we realized our store sells slivers of cabbage vs. the whole head. Even so, I think I’ll continue buying the whole head…if for no other reason than an excuse to keep making these burgers! 1. In a large bowl, soak the bread crumbs in the milk. Set aside while soaking and combine the slaw ingredients in a separate bowl. Refrigerate until ready to serve. 2. In the bowl with the breadcrumbs, add the egg, soy sauce, brown sugar, ginger, oats, green onions, and turkey. Season with salt and pepper. Handling the mixture as little as possible, form into 4 equal-sized patties. 3. Cook on a grill until cooked through. 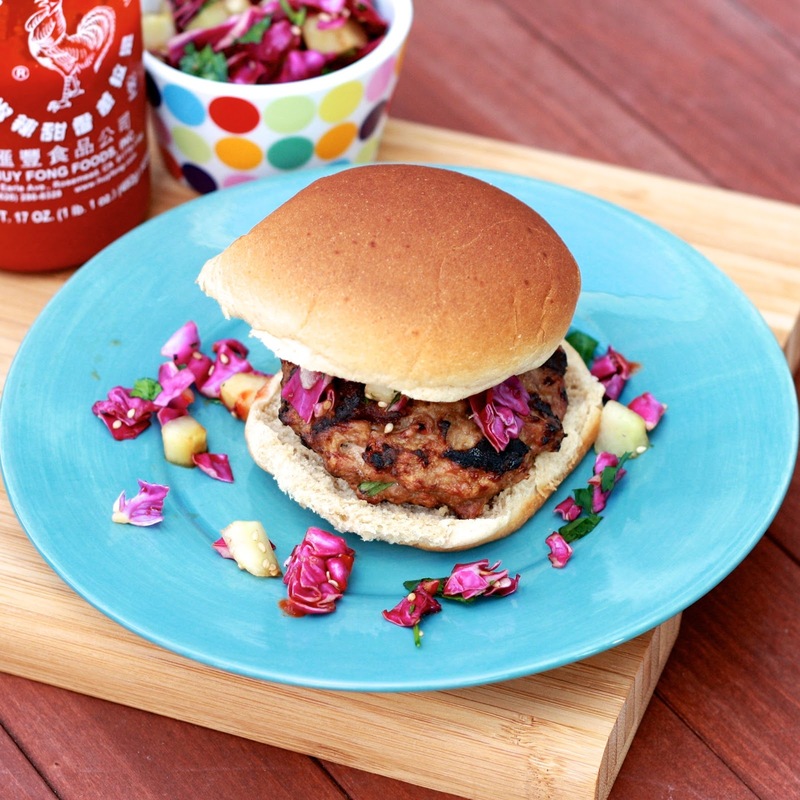 Place on buns, top with slaw and sriracha.